Product #18589 | SKU AXST | 0.0 (no ratings yet) Thanks for your rating! 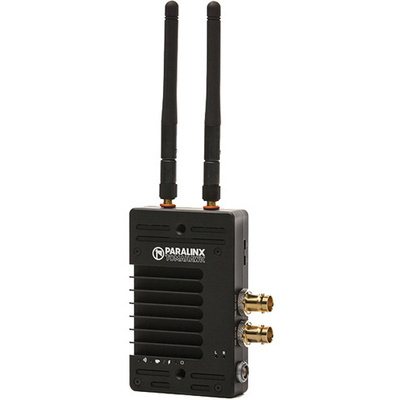 The Arrow-X SDI System Transmitter from Paralinx transmits real-time uncompressed Full HD 1080p60 video up to 700' / 213 m (with the included antennas) for your television, film, broadcast, industrial, or UAV/UAS applications, when used with the Arrow-X SDI System Receiver (available separately). It features 3G-SDI input with loop-through output, and a 2-pin power connector that handles a wide 7 to 17 V unregulated input voltage.